Born in the north of Russia, in Siberia. 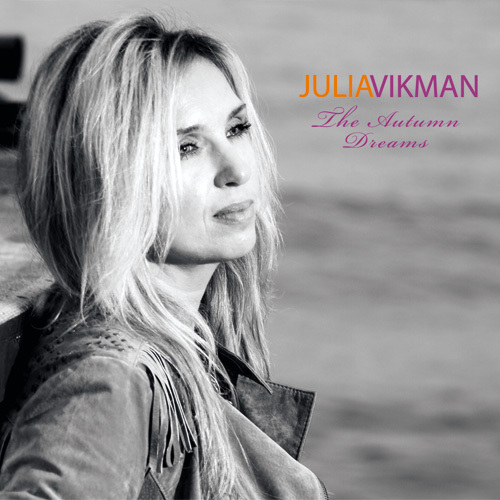 Julia Vikman has gathered the experience throughout the years on the musical field where she studied classical music, folk rock and jazz. Those experiences served as the tool in building up the songs which are the expression of feelings and emotions gathered through her life. With the combined elements of all those styles her music is unpredictable, not influenced by the outside musical standards and containing sophisticated sounds which come out deep from the soul hopefully into the soul of the listener. Populäre russische Lieder, Balladen und Romanzen, unter anderem Songs aus dem Repertoire von Anna German, Zhanna Bichevskaya, Alla Pugatschowa, sowie Czesław Niemen, Lieder wie „Podmoskovnyje vechera”, „Ochi chernyje”, „Brodiaga”, „Kolokolchik”, „Kalinka” und viele andere. Populäre russische Lieder, Balladen und Romanzen, unter anderem Songs aus dem Repertoire von Bulat Okudzhava, Anna German, Zhanna Bichevskaya, Alla Pugatschowa, Mark Bernes sowie Czesław Niemen, Lieder wie „Gari gari maja zvezda”, „Molitva”, „Podmoskovnyje vechera”, „Ochi chernyje”, „Brodiaga”, „Kolokolchik”, „Trojki dve”, „Temnaja noch”, „To ostatnia niedziela” und viele andere. 60th, 70th, Louis Armstrong, The Beatles, Tina Turner, Gloria Gaynor and other world known top jazz, pop, rock and disco standards also from 80-th, 90-th and 21-st century.